A brief hello again! The week has been a very sultry and stormy one here, a dramatic end to our official summer. 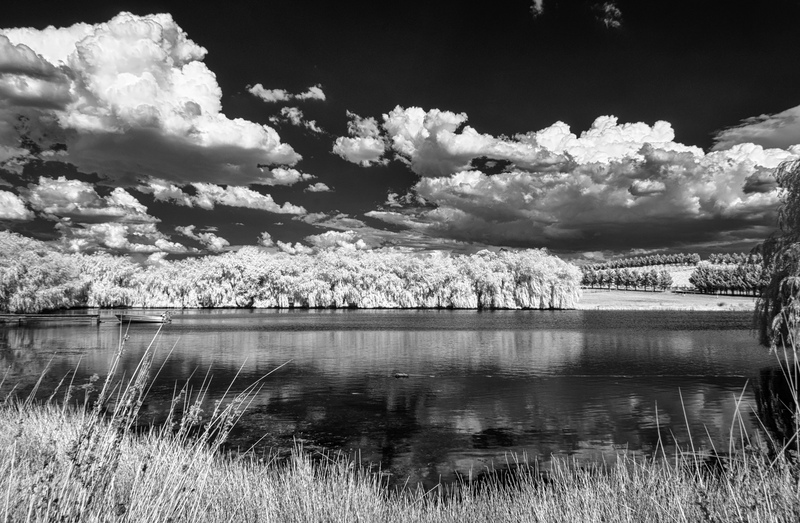 This image was taken in near infrared late on Saturday afternoon as a storm was building – I love the way clouds render in near IR 🙂 🙂 It is also my submission for Monochrome Madness – week 51 (and a special week coming up next week) hosted by the ever hard working Leanne Cole and published tomorrow (AEDT). Lovely shot. Be thankful we weren’t in QLD last week. Hello again! and thank you! Oh yes and then some. – not good at all. And the way the water goes jet black – nice capture! Stunning photo – so many fine details – working so nicely together. Well done, Lisa!